By clicking send you provide us with consent to do this. Your information will be stored on our database to contact you. Small private gardens and parking. please complete our enquiry form. Internal images are indicative only. Main image is a CGI and indicative only. 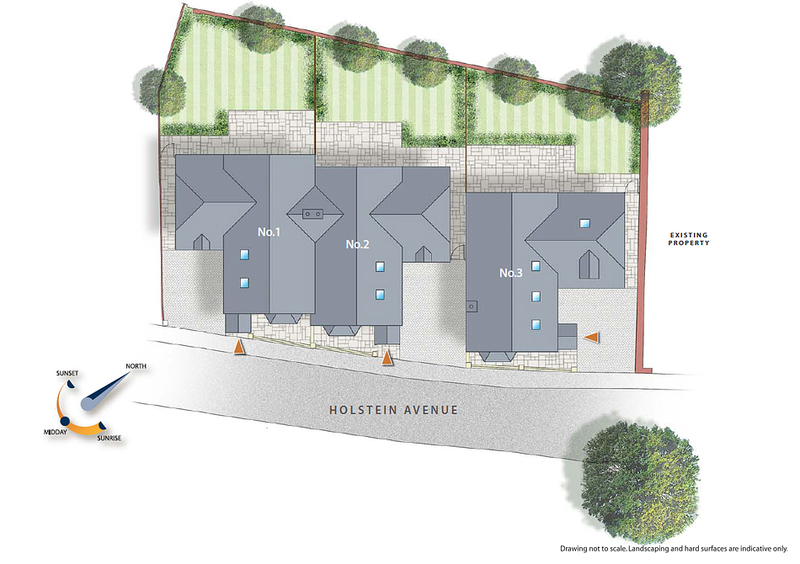 Holstein Mews is a beautifully executed development of just three town-houses with attractive ‘kerb’ appeal derived from the carefully crafted detailing and features inspired by the Victorian era. These well equipped and highly specified four bedroom, four bathroom houses each have a wall of folding glass at the rear of the contemporary open-plan ground floor, allowing the living space to merge with the private gardens. At the front of each home is a private driveway with room for a further vehicle within the integral garage. At the rear, the walled gardens are secluded and create a peaceful oasis in contrast to the convenient town centre location. With the High Street close by, the amenities of Weybridge’s town centre are moments away on foot. A wide variety of independent stores, cafés, bars and restaurants make up the character of the town centre, along with well known shopping brands including Boots and Waitrose supermarket. Weybridge is a main Surrey town and enjoys excellent road and rail-links to reach the capital, airports and other further afield destinations with ease. 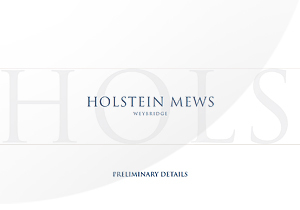 Holstein Mews occupies a highly convenient residential spot, hidden away just behind Weybridge’s bustling High Street and Churchfields Park. Located at the end of Holstein Avenue, each of the three attractive Victorian-styled 4-bedroom houses includes an off-street driveway, integral garage and rear garden. 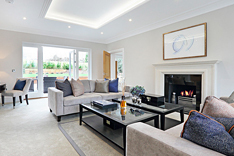 Built over three-levels, these well-designed new homes are built to Runnymede’s customary high standard and feature an outstanding specification. Copyright © Runnymede. All Rights Reserved.